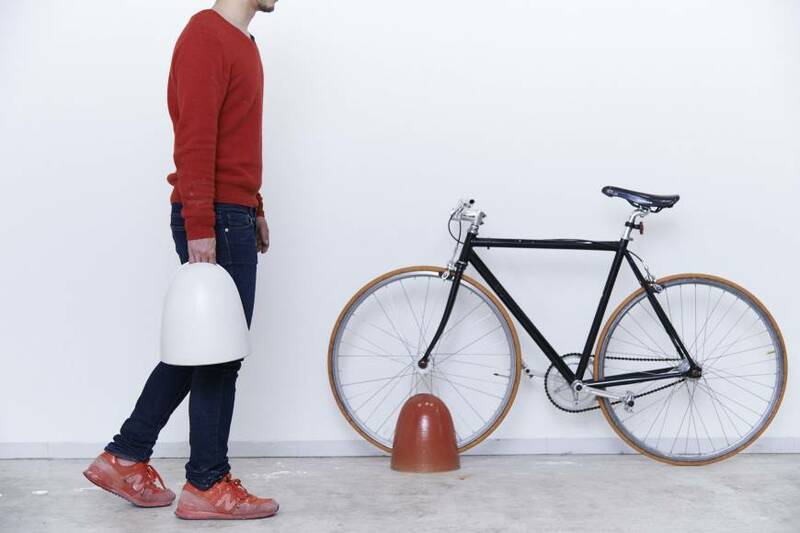 Most bicycles have kickstands, but many “fixie” aficionados prefer not to ruin aesthetics by including one on their mounts. If you’re that type of cyclist, this Trip is for you. 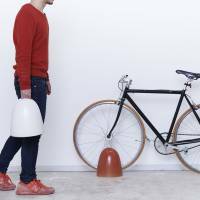 The heft of Cachicochi’s Trip stand — a solid and stable 7 kg — will ensure your bike will stay upright, while its simple dome shape not only camouflages the fact that it’s a bike stand, but is unobtrusive in the home. Made of Shigaraki ceramic from Shiga Prefecture it comes in six colors (white, red, deep blue, black, blue and brown) and costs ¥15,645. 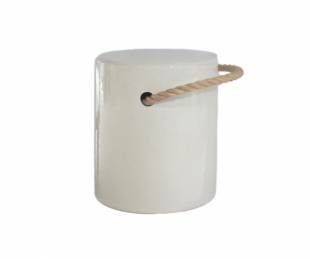 Cachicochi’s Tonne Rope Kids Stool/Side Table, like its Trip, is a beautifully simple and robust object. Also made from Shigaraki ware, it’s tough enough to withstand kids’ antics and yet light enough to easily move around the home. The rope handle, which makes it easy to lift, also gives it an attractive organic accent. The Tonne Kids Stool/Side Table is priced at ¥15,225 and is available in pink, yellow, white or blue. Time is an abstract concept and these are abstract-looking clocks. Moon & Earth and Sun & Moon timepieces, designed by Naoya Matsuo, use color and shapes instead of oh-so-conformist numbers. Two translucent circular discs marked with cut-out circles act as the arms of the clocks, their shapes alluding to the bodies and movement of our solar system. They will probably take some getting used to when reading the time, but it’ll still be quicker than looking up at the sky. 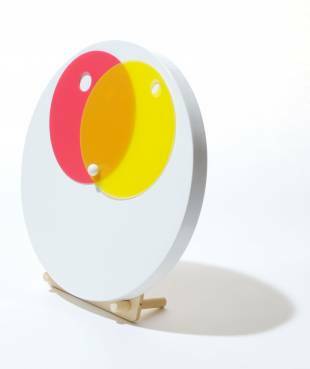 Moon & Earth (yellow and blue) and Sun & Moon (red and yellow) clocks come with wooden stands, and are priced at ¥5,400 each. 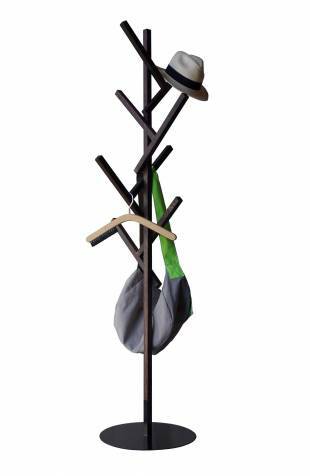 Tsuru Takashibun’s Forty is a slightly chaotic coat rack. Its oak T-shaped components seem almost randomly placed, but there’s a method to the madness. Each part has been angled to offer the best support for whatever coat or jacket you hang on it. The Forty costs ¥21,600 and is available in either a natural or dark-brown finish. As with most items in this month’s column, it’s available from the online webstore Generate, which now also has a retail presence at the newly opened Lil’ Rire cafe in Tokyo’s Shibuya Ward. 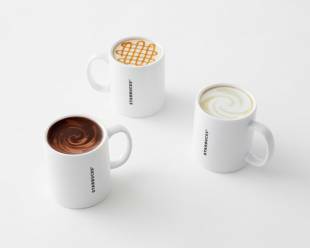 To enjoy this product, you might have to step out for a coffee as Nendo has gone to Starbucks for its latest project. This really fun collection of mugs, designed specifically for Starbucks in Japan, plays a little joke on the user. On the surface, they appear identical to the plain white mugs Starbucks uses, but if you flip them over (make sure it’s empty! ), they look like they are filled to the brim with either an Americano, a latte or a caramel macchiato. You’ll be finding these at Starbucks throughout Japan, and as of last week, they are being sold in some of their shops. Good excuse to go out for a break right now.